Apple is aware of how the sales of the iPhone XS have deflated and decided to change strategy. 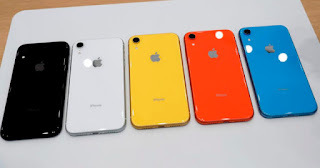 How about selling you the new iPhone XR? Yes, it does a lot and well, they even share a processor, and it has a price that falls within logical limits for what a smartphone should be. 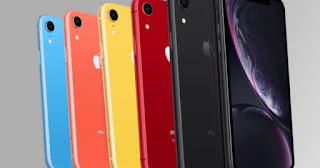 Apple has begun to send emails to users who have long since or have renewed the device, it seems that they have in the spotlight those who continue to use an iPhone 6. And display before them all the benefits of the poorly named Cupertino lowcost phone . Yes, the iPhone XR likes it and the public has welcomed it with enthusiasm. Of course, there are 4 years of technological difference between one model and another . A processor of last generation that leaves in diapers to any of the competition. A screen, that even being LCD, has an incredible sharpness, a camera able to play in the bokeh effect in spite of being of a single lens, and six vivacious colors to choose from. What else do you want? Well an attractive price, starting from $ 549, as we have known in Mac Rumors. Presented along with the iPhone XS, this device incorporates elements that logically in 2014 were not present, such as water resistance, an improved Face ID with respect to the iPhone X and more storage capacity. And one of the factors that under my point of view make him a good candidate for telephone of the year, a camera that records video with fantastic quality. Yes, Apple makes very good video cameras. It is certainly a great opportunity that we do not yet know if it will be extended to Europe in the coming weeks, probably because of the poor sales expectations of his older brother. Do you consider this offer a good opportunity to make a renewal?